Our company understands how entry systems are important in providing safety, security and convenience to property owners. This is why we have paid much of our attention in understanding not only simple to complex garage doors, but also gates of various types. In this regard, you can call us not only if your garage door springs, openers or cables are giving you problems, but also if your rusted gate and broken gate operator causes you trouble. 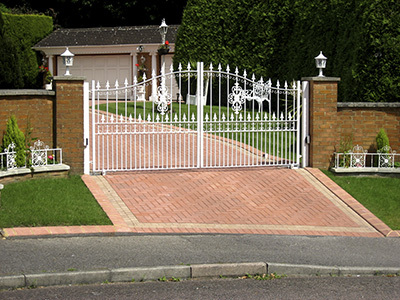 We are the trusted provider of repair services for automatic, driveway, electric and other gate types in the area. We also install new ones, or replace existing gates for both residential and commercial applications. As the proud company behind Garage Door Repair Hemet, we stand firm in our beliefs and principles in rendering topnotch services. This is what directs us to provide outstanding gate installation, repair and maintenance. We have also equipped our technicians not just with the latest tools and equipments, but also with the knowledge and skills necessary to work with a broad range of gate types. You can count on us to help you with every issue concerning your gate, gate operator and intercom systems. Ensuring that a gate is properly working is necessary to protect people in a home or commercial property. While there are a variety of gate types, each poses its own repair challenges. No matter what type of gate you need help with, our technicians are equipped to do the necessary repair. Common problems we encounter include gates that do not remain closed, bent, sagging or warped gates, and broken paneling. However, you can call us if you are having different sets of problems. Gate openers are designed to provide convenience and security for properties. We know that you cannot stand even a few hours with a broken gate motor. This is why we have invested in understanding a wide variety of gate operators. We have already installed and repaired numerous operators in the area. There are different kinds of automation controls in use nowadays. They differ from requiring only simple hinges to entry gate motors. Our technicians can fix gate access systems, which are used to open gates automatically. If the motor is broken, the gate will have difficulty opening or closing on its own. What we can assure you is that our team diagnoses the problem thoroughly to come up with the right solution. The other important part of a gate motor is the device that triggers its movement. These could be a button, remote control or a voice activated system. These allow gates to be controlled from the inside of a property. Garage Door Repair Hemet prides itself in troubleshooting these devices efficiently. We have been in the business of garage door repair for years, but we also cater to gate services. Regardless of the type of gate and access system you are using, we have the expertise required to install or service it. We are dedicated to keep all our customers satisfied, whatever their need is.